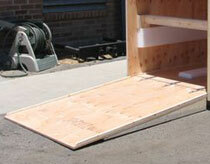 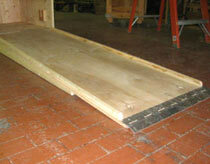 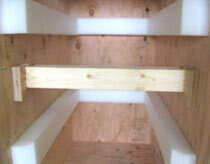 Access Door can be used to provide access to areas of a wooden crate that would otherwise be difficult to reach. 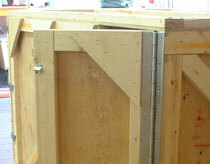 A-Frames are used to stand the crate up during shipping. 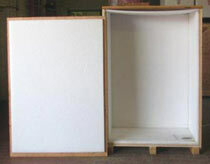 These are commonly used for artwork and TV crates. 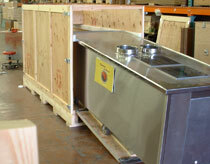 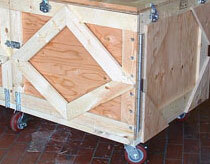 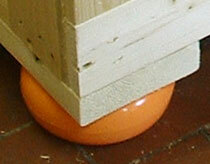 Casters are placed on the bottom of the crate allowing it to roll. 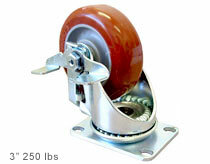 There are several different types and sizes of casters. 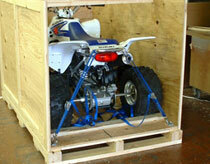 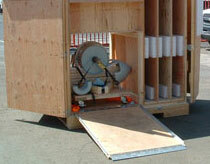 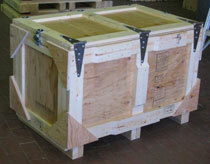 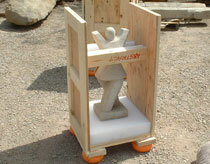 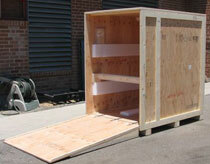 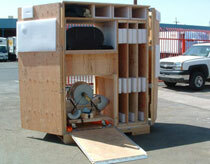 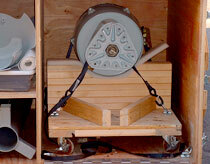 Optional swivel caster allow for turning the crate. 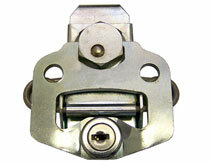 Locking casters are also available. 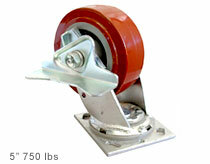 Our typical 3" caster has a 250 lbs rating and our 5" caster has a 750 lbs rating. 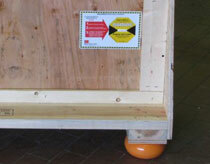 When in place, removable cleats are used to secure items during shipping. 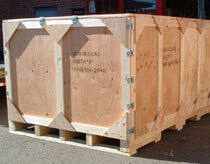 Removing them allows for easy packing and unpacking. 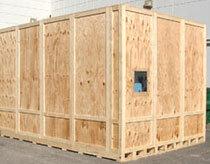 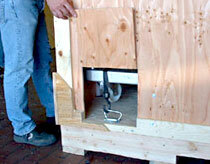 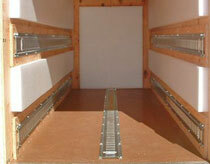 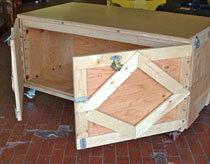 Doors are used to provide tool-less entry to the interior of of the crate. 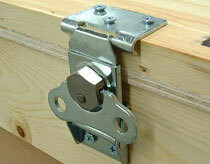 E-Tracks provide multiple locations to attach straps, rings, and or hooks to secure and item while transporting. 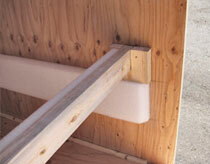 Completely foam lined or foam strips in strategic areas. 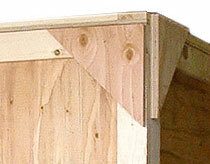 Gussets are either boards or triangular shaped pieces of plywood used to strengthen joints. 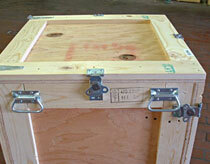 They can also be used as a bumper to help protect any hardware on the crate. 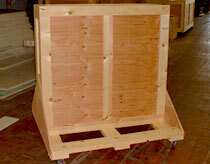 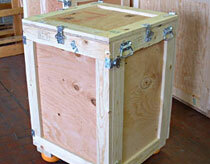 Handles can be use to to help facilitate the lifting of small wooden crates or removable panels. 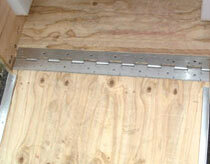 They can also be used to ease the opening of doors. 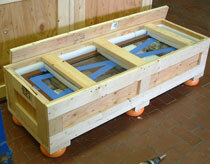 Inspection Windows let you look inside the crate without having to open it. 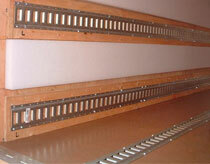 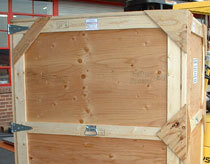 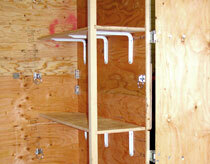 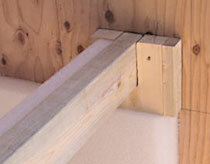 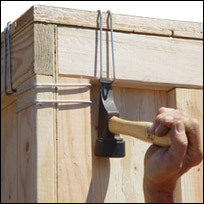 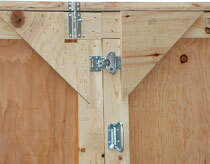 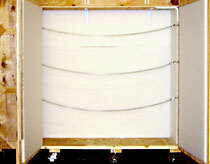 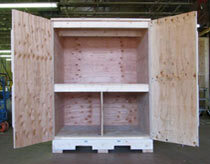 Klimp® fasteners are used to fasten the wood panels together on knock-down reusable crates. 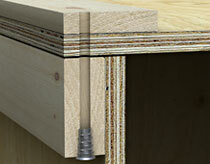 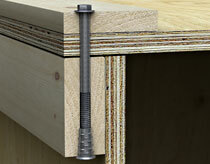 For additional information see our Klimp® fasteners page. 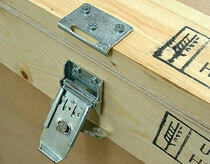 Link Locks for Padlocks are used when you would like to use your own padlock to secure the crate. 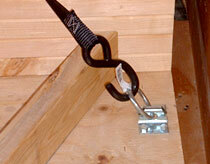 Load Bars hold themselves in place with tension. 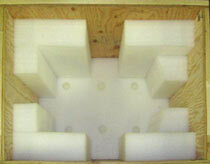 The are used to help prevent items from moving during shipping. 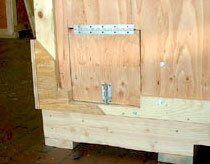 A Piano Hinge is used on crate doors and typically run the full length of the door. 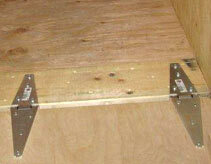 4 inch piano hinge for ramps. 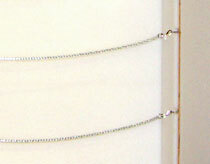 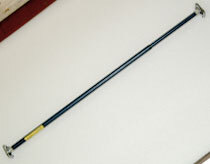 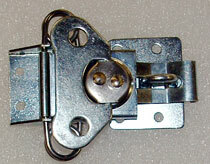 Protection Straps are used to restrict the movement of items. 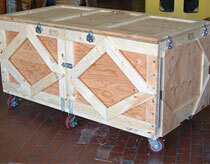 They can be used at the interior of doors to prevent items from falling out of the crate when the doors are opened. 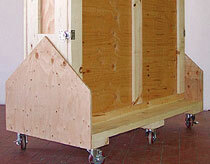 Ramps are used to wheel heavy items into a crate. 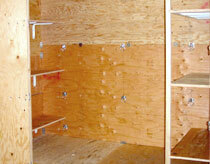 Shelves and dividers provid separate storage areas inside the crate. 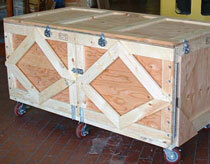 Skid-Mates look like donuts that are bolted on to the bottom of the wooden crate. 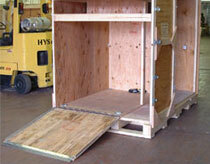 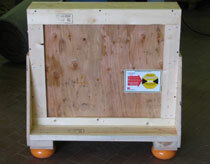 They can provide some cushion to the bottom of the crate as well as provide fork lift access. 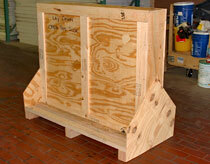 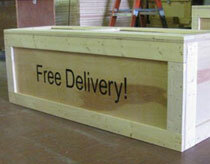 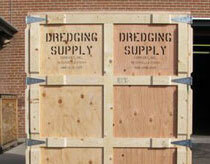 Stenciling is a cost effective way to place your company's name on your crate. 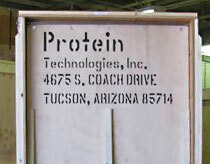 We also use stenciling on crates for standard labels to indicate which side is up and if content is fragile or other similar standard shipping messages. 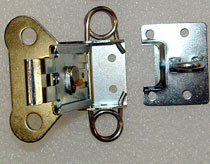 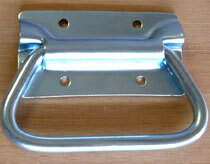 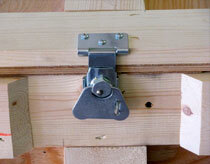 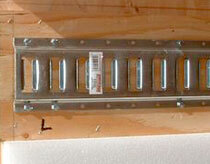 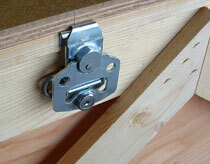 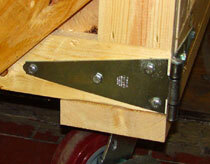 Strap hinges are used to allow a panel or part of a panel to open. 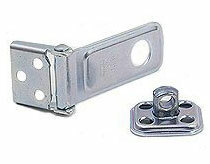 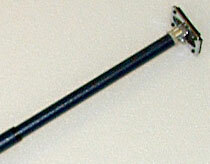 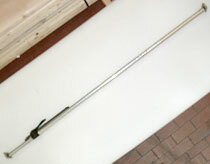 Typically used on doors, lids or ramps of crates. 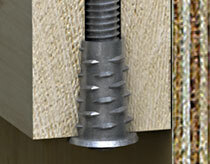 Threaded inserts provide a strong machined thread used when repeat fastening is required.